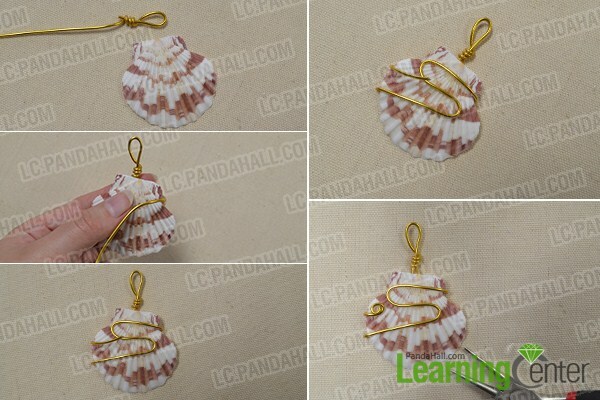 Summary: It’s a pity to left aside beautiful shell at home, you can use it to diy shell necklace. 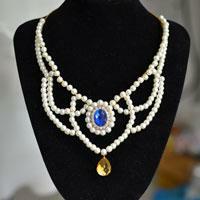 In this tutorial I will give you an idea on how to make a pendant necklace. Last week, I went to Hawaii with my friends and I picked some puka shells on the beach. 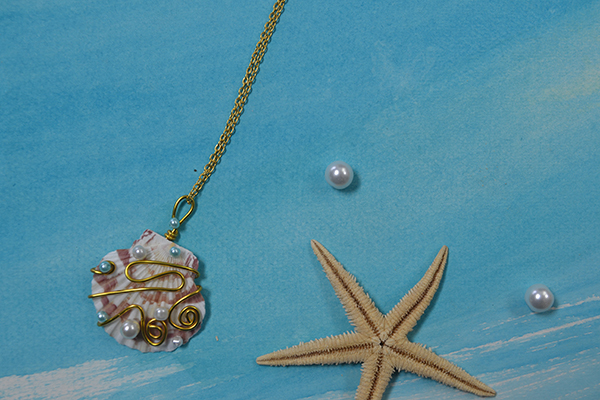 They are so beautiful and I think I shouldn't just left them in the box, so I use the puka shell to diy a shell necklace. Therefore, I can enjoy them all the time. 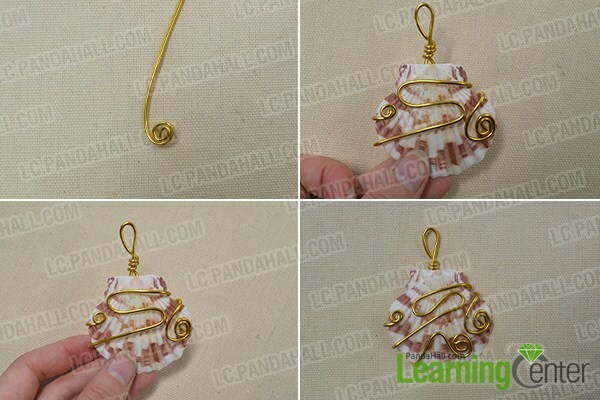 In the following part, I will tell you how to make the puka shell pendant necklace. 2nd, wrap the wire on the shell as the picture show. 2nd, wrap the aluminum wire on the shell and make some loops in the end. 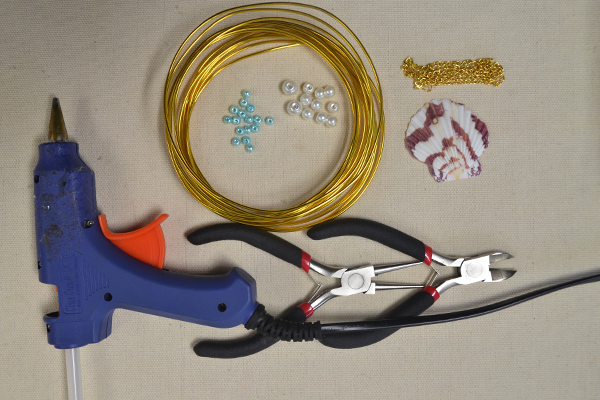 Step 3: Add some pearl beads to the shell with plastic gun as the pictures show. 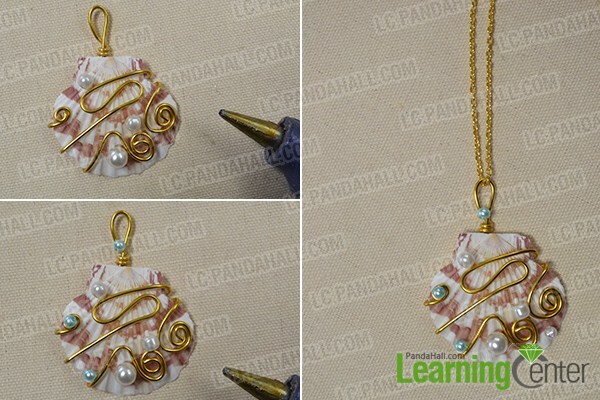 It's a pretty work to combine the shells and pearl beads together, and add some wrapping wires, the necklace looks more perfect. 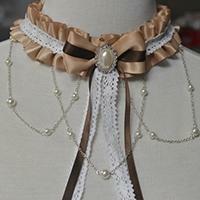 Beside, you can design where and how to put the beads and jewelry wires as you like. It seems very interesting, right? Just have a try!